The county seat of Montgomery County, Maryland, Rockville is situated on approximately 13 square miles amid the rolling hills of west-central Maryland. It is 12 miles northwest of Washington, D.C., and 35 miles southwest of Baltimore. Rockville was established as a city in 1860, but its history is traced back to pre-Revolutionary War days. Early settlers were hunters and farmers, with tobacco the main crop. A road led from Frederick to Georgetown to transport large tobacco kegs. A branch of the Baltimore and Ohio Railroad came to the city in 1873 to further develop Rockville, which transformed from rural farmland into a town center over the years. Rockville became a suburban resort for Washington, D.C. professionals who sought respite from their business in the nation's capital. Hotels, boarding houses, and fine Victorian homes were built. The city actually remained much like a small quiet town until the 1950's, when after World War II the population rose to more than 40,000 by 1970. Today, Rockville is the second largest city in Maryland and is a four-time "All-America City" winner. Rockville has a population of approximately 50,000, and is a major employment center and one of Washington, D.C.'s major suburbs. To preserve its past, the city of Rockville designated a Historic District Commission to protect areas and structures of historic significance. Three historic districts were established in 1974, with others added since that time. Rockville also offers a wide variety of housing styles and prices with a range of neighborhoods from condos, townhomes and Victorian homes to contemporary models and more traditional plans. 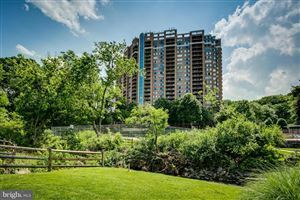 The City of Rockville has abundant family entertainment and recreation opportunities with a swim center, golf course, 58 public parks, a skate park and much more. Winters are fairly short and mild, and summer temperatures rise into the 90°F's.